In architecture, the first step can be the hardest – leading some designers to start with a simple concept, making the complex task of creating a working home more manageable. 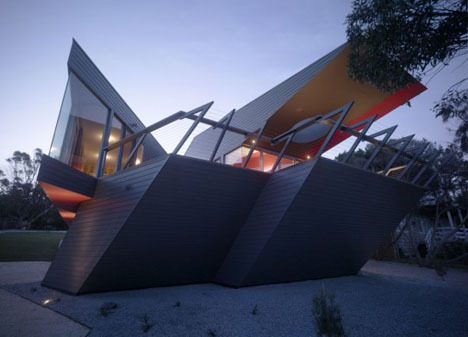 Whether it works, well, this residence is radical, but its abstract angular form livable as well? As it turned out with the K House, the end may indeed justify the means – a dynamic form rises up and projects out toward the sand and surf beyond the site, creating wonderful viewing opportunities, useful daylighting and interesting interior spaces. But the explanation of the design development process is somewhat strange – the letter ‘K’ was the genesis of the project, also the first letter of the client family’s last name. 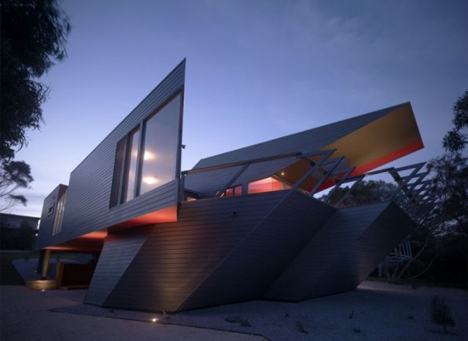 Sure, it is a compelling shape balancing solid and void, but the basis for a whole home? 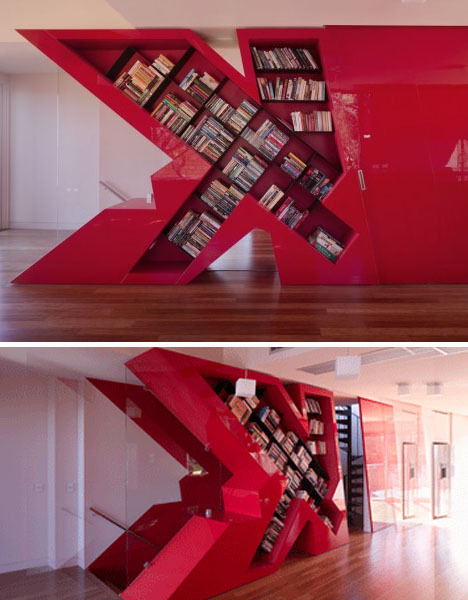 Fortunately, the Kmart-style bookcase on the inside is a relatively limited remnant gesture – the overall floor plan was allowed to evolve in two- and three-dimensional ways, rather than rigorously following the typographical source of initial inspiration. 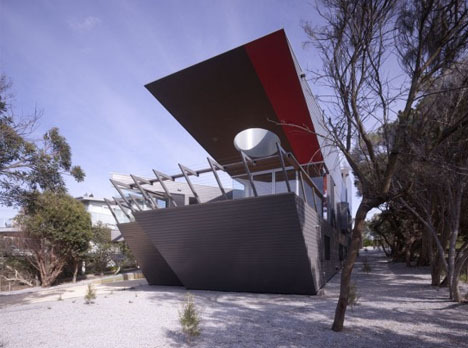 In the end, the object looks engaged with the site, draws on its oceanic surroundings and features great skylights, decks, nooks and crannies so … it works, but the method might not in every case. 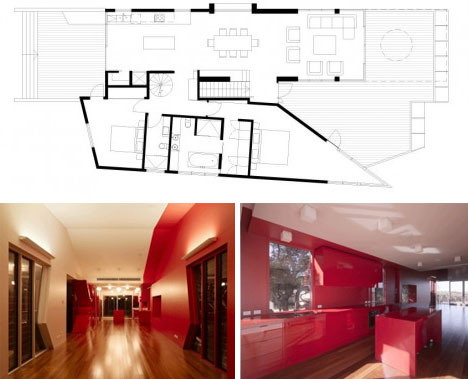 That, or perhaps these architects are simply not as versed in the (albeit morally ambiguous) art of rewriting a house’s design history after the fact.